While no one seems to know for sure how it came to be called Boxing Day, it definitely has nothing to do with the sport of boxing. Perhaps the most widely held understanding of its origins comes from the tradition of wealthier members of society giving servants and tradesmen a so-called "Christmas Box" containing money and gifts on the day after Christmas. It was seen as a reward for a year's worth of service. Other believe it comes from the post-Christmas custom of churches placing boxes outside their doors to collect money for distribution to less-fortunate members of society in need of Christmas cheer. Some trace it to Britain's proud naval tradition and the days when a sealed box of money was kept on board for lengthy voyages and then given to a priest for distribution to the poor if the voyage was successful. No one knows for sure when Boxing Day started, but some believe it was centuries ago, when servants would be given the day after Christmas off as a day of rest after feverish preparations for their masters' celebrations. Others trace it back even earlier, to the Roman practice of collecting money in boxes -- they say Roman invaders brought this practice to Britain, where it was taken up by the clergy to collect money in boxes for the disadvantaged. Boxing Day has evolved into a day of relaxation and indulgence -- and shopping. It is filled with sporting events (including a marathon soccer schedule tailor-made for TV viewing from a comfortable couch) and it is often a day when people open their homes to family and friends who drop by for turkey, ham, and perhaps half-consumed bottles of wine left over from Christmas dinner. In Britain it used to be a day for fox hunting in the frost-tinged countryside, but that practice has been mostly banned for more than a decade now. 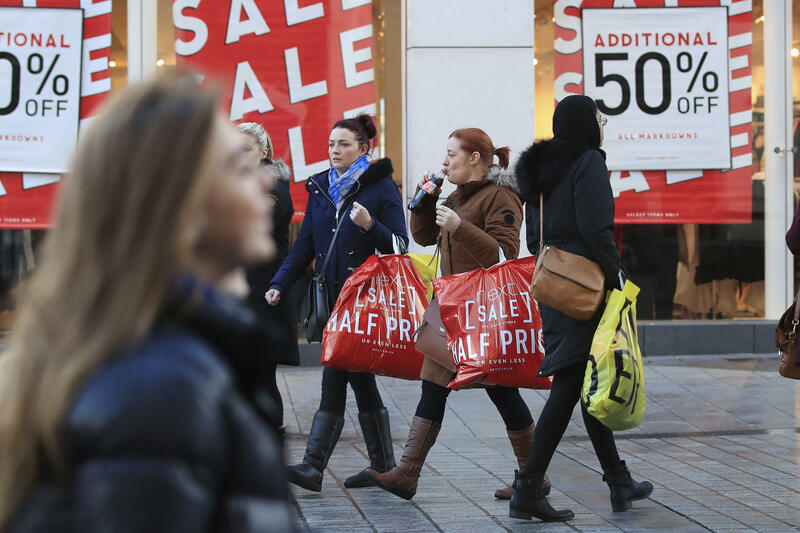 In its place, "Boxing Day Sales" have flourished, with many Britons lifted from their post-Christmas torpor by the lure of low prices in department stores.